Want the WOW factor? 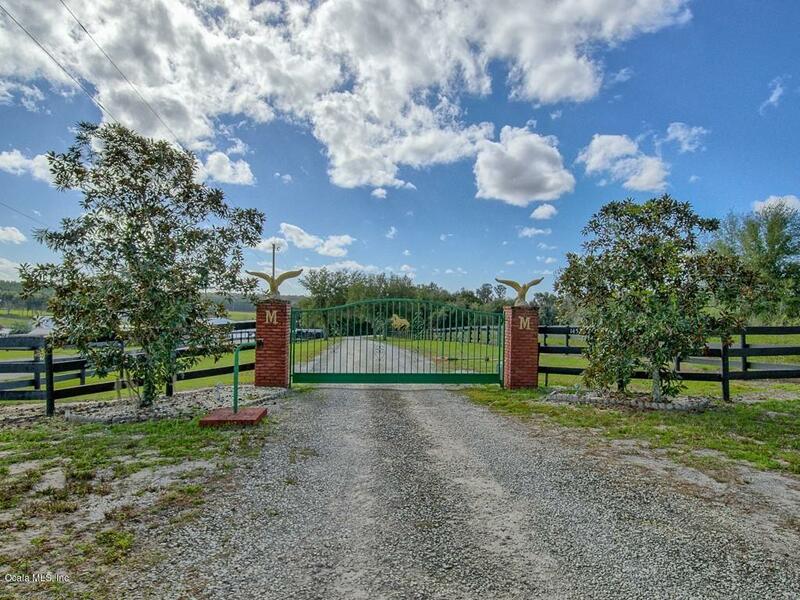 10 acres of beautifully landscaped horse farm on Lake Weir. 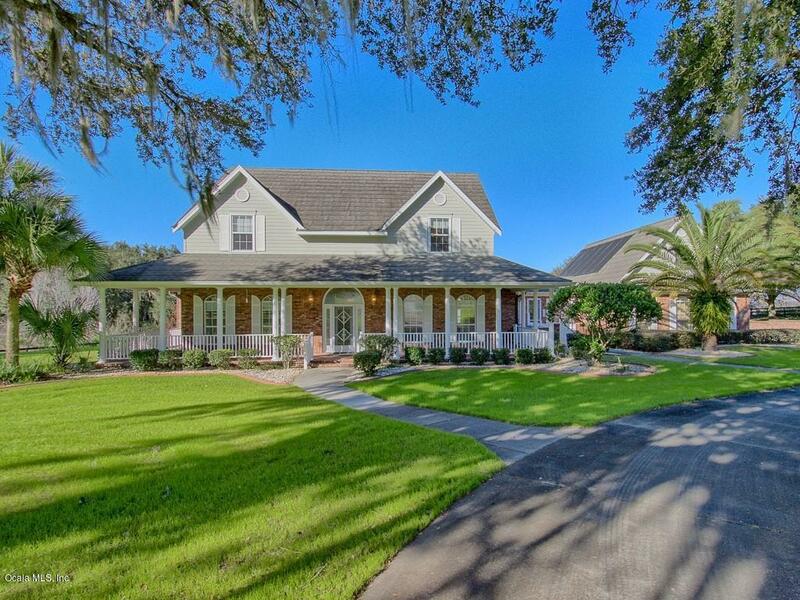 Come look at this gated and secluded SPECTACULAR 2 story custom built home with 4 bedrooms, (Master Bedroom on 1st floor overlooking beautiful Lake Weir and the custom master bathroom is extraordinary) 2 full baths, 3 half baths, 3 car garage with bonus room above. 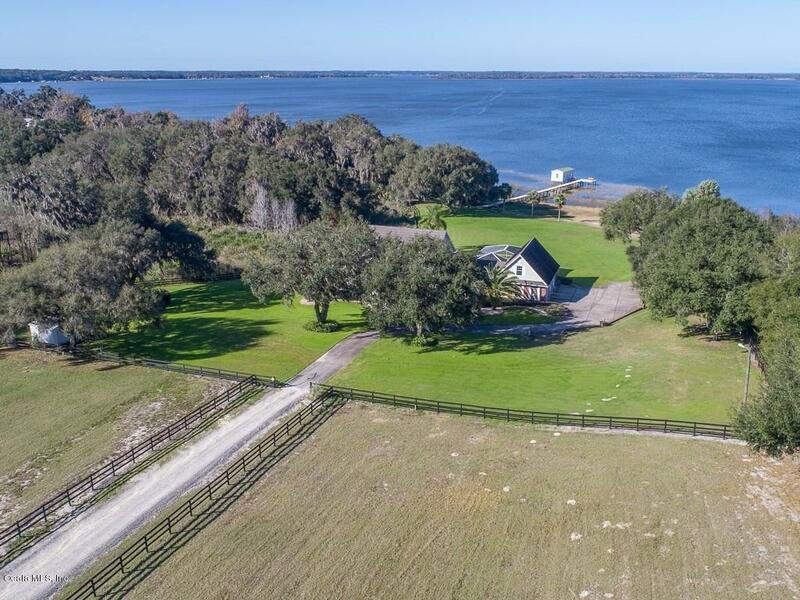 Many extra features included; solar heated pool, 325 ft private beach, dock, and boat house with lift. Wait there is more... Granite counter tops, stainless appliances, walk in pantry, custom built cabinets, large eat-in area that allows you to enjoy the panoramic view of Lake Weir. 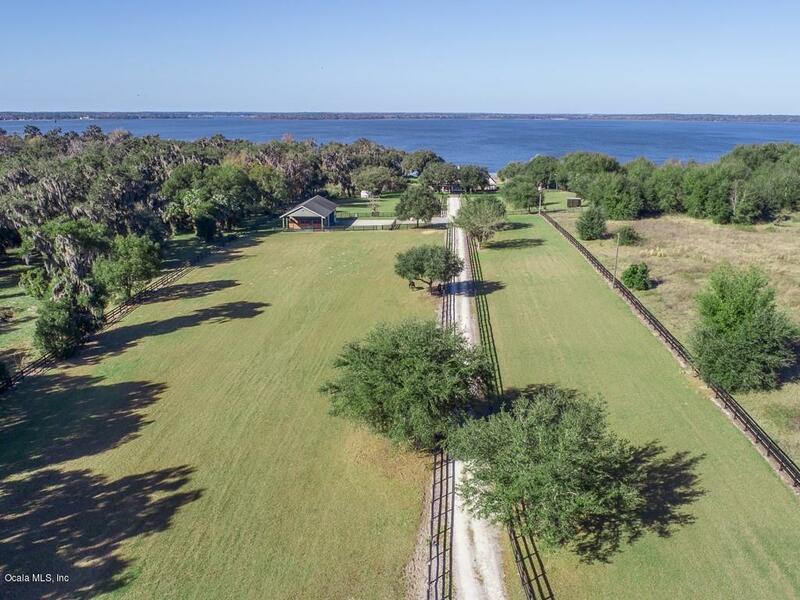 Along with 4 paddocks, 2 run-ins, center aisle barn with 3 stalls, a/c'd tack room, and a/c'd large equipment room. THIS IS A MUST SEE! Listing provided courtesy of Russ Stevens of Foxfire Realty Lady Lake.